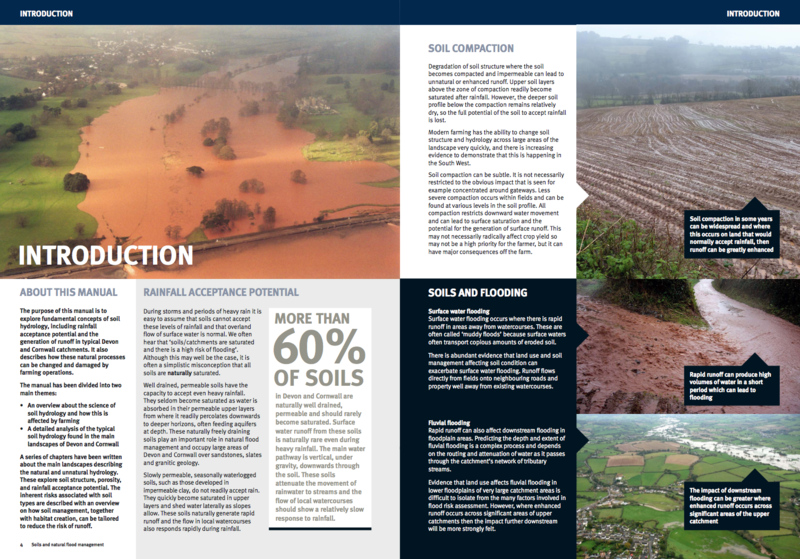 Those of you who have followed my blog over the years will know that I have written a great deal about maize cultivation in East Devon and the detrimental impact that this has had, especially how it has led to flash flooding. See here for my historic maize posts! 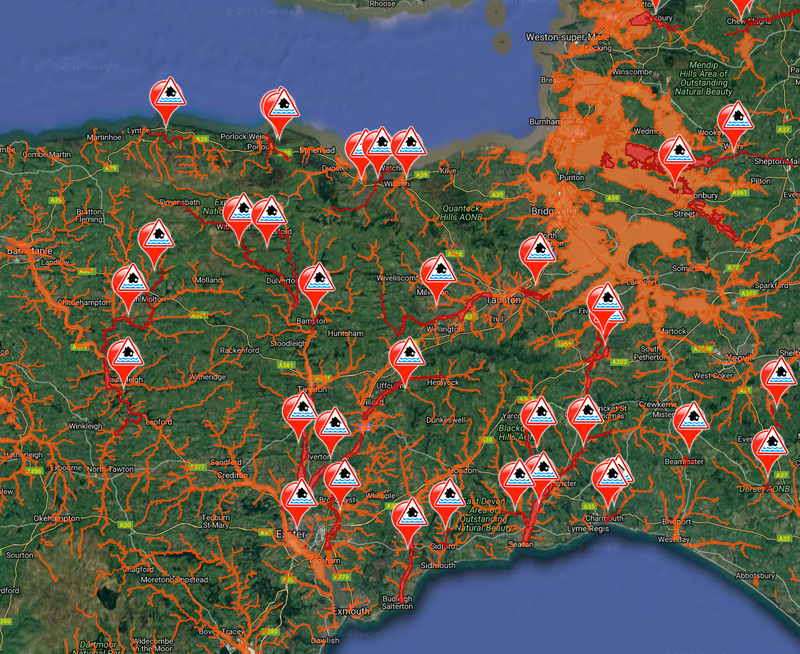 Well today, out of the blue – at least for me, a new report has been published entitled ‘Soils and natural flood management – Devon and Cornwall. It is absolutely superb and you can download it here (N.B. it is 36mb). 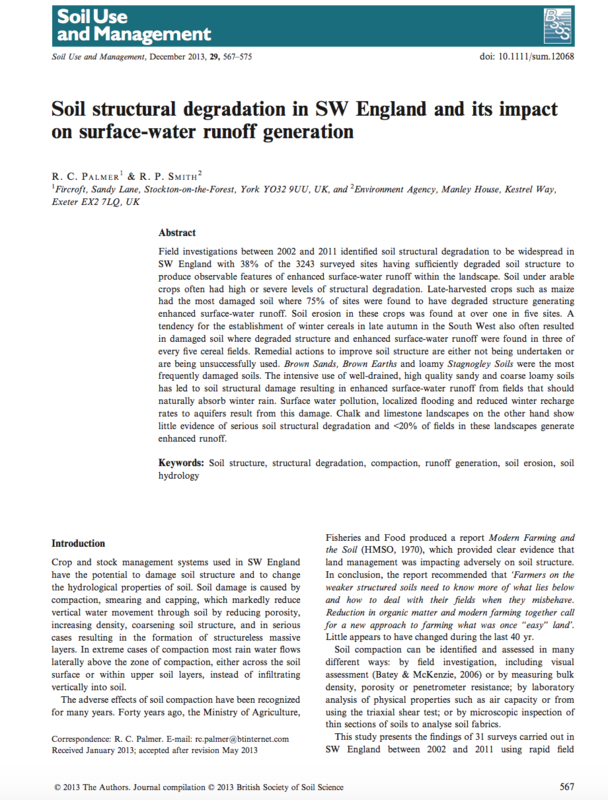 It has been written by Richard Smith of the Environment Agency and has been peer reviewed by R.C. Palmer. I have quoted their classic 2013 paper where they demonstrated the devastating effects of maize cultivation on unsuitable soils (i.e. ones on slopes where the soils easily become compacted) many times over the past few years. 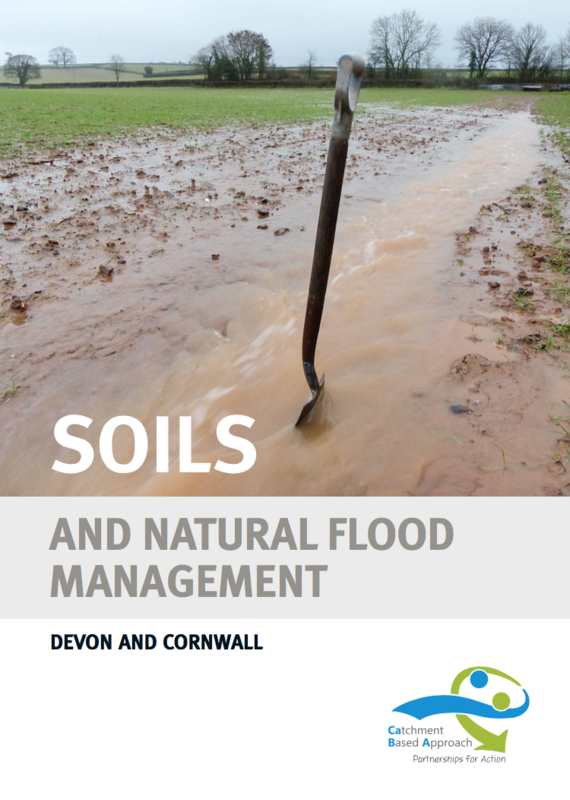 This new report is over 70 pages long and gives detailed and geographically specific sets of recommendations on how soils can be managed appropriately to reduce flooding – maize cultivation features throughout and even when not specifically referenced it is clear that compacted soils and late harvesting lead to flooding and misery for those downstream. Congratulations to the author and the peer reviewer on producing such an accessible and important report and well done too to the project management team i.e. 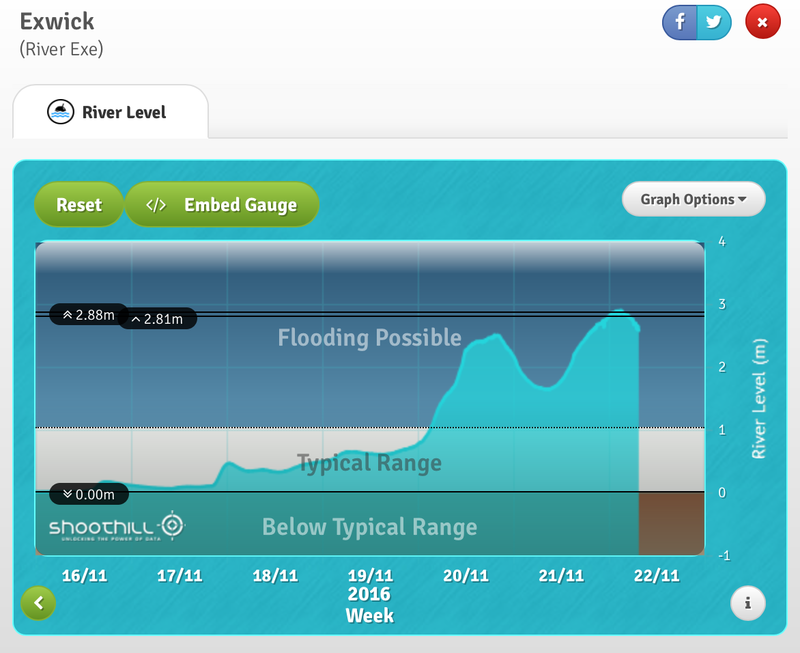 the Environment Agency, the Devon Wildlife Trust and the West Country River Trust. 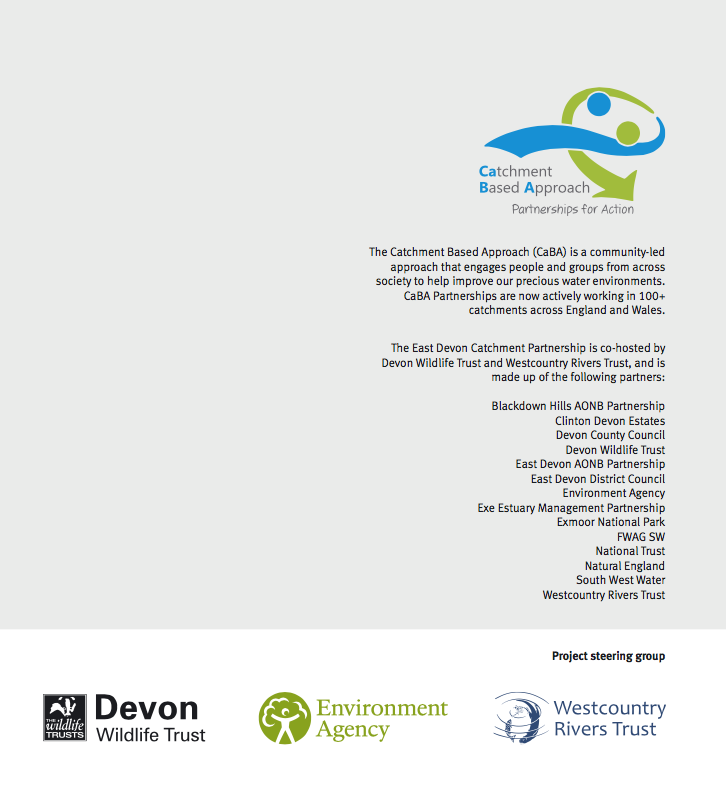 There is also a wider partnership involved in this project known as the Catchment Based Approach – lets now get the message out. Pleased to see my old employer the National Trust is involved! So this report now needs to be distributed far and wide, read and acted upon! Now if I were Michael Gove, I would give this report to my officials in Defra and tell them to incorporate the guidance and recommendations into their ‘Cross-compliance’ regulations which determine whether farmers can claim their subsidies – follow the guidance = get the money, ignore them and you don’t. 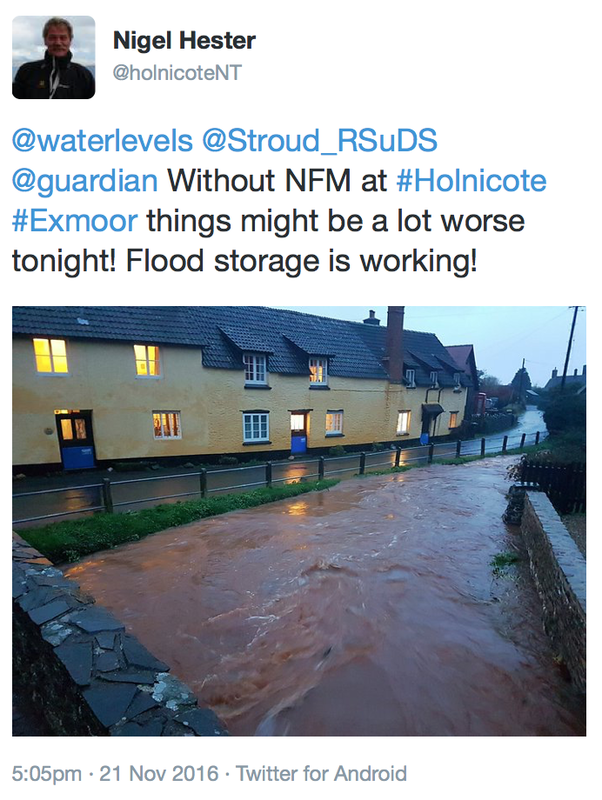 Likewise if I were a farmer around Exton, where I used to live and used to regularly view and fear the maize fuelled, brown/red river floods, farming in the area described as the ‘Soils of East Devon’ I would be reading this report very carefully – there are no longer any excuses for ignorance. 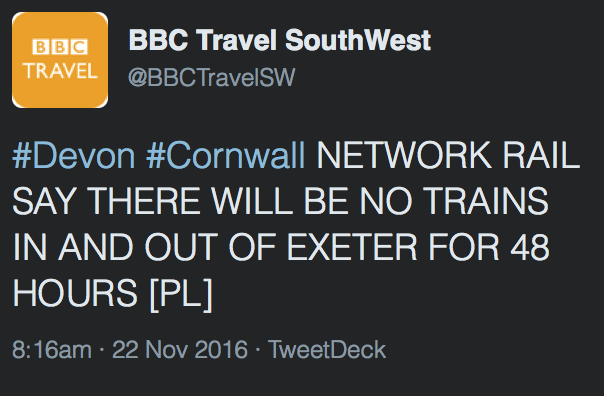 Finally whilst this report is about Devon and Cornwall the farmers in the hills above the Somerset Levels could and should learn a lot too. Michael Gove yesterday attended and spoke at the launch of the Sustainable Soils Alliance where he said UK is 30-40 years away from ‘eradication of soil fertility’, ‘We have encouraged a type of farming which has damaged the earth’ and ‘Countries can withstand coups d’état, wars and conflict, even leaving the EU, but no country can withstand the loss of its soil and fertility’. Maybe, just maybe we are turning the corner? Last week I wrote a piece about the 55% growth in maize specifically grown for AD power plants (see here). In that blog I also wondered what had happened to the Department for Energy and Climate Change (DECC) consultation on the Renewable Heat Incentive Scheme which provides subsidy for those investing in this renewable technology. Last June I wrote about this very complex topic (see here). As if by magic, the Government has now published its response (thanks to Dr. Chris Short at the Countryside and Community Research Institute at the University of Gloucester for bringing it to my attention). I warn you the report is a tricky read but you can download it here if you wish. The document is all about funding for renewable energy plants but the earlier consultation had suggested that the subsidy paid on crops grown specifically for the power plants (they are meant to run 100% on waste products) would be cut either completely or by 50%. This had caught my attention as the main crop grown to fuel these plants is of course maize. The report and its recommendations are all about providing value for money for the tax payer whilst providing enough incentive for industry to provide renewable energy. It is not about the environmental impact of maize cultivation. In fact maize is only mentioned once in the document. 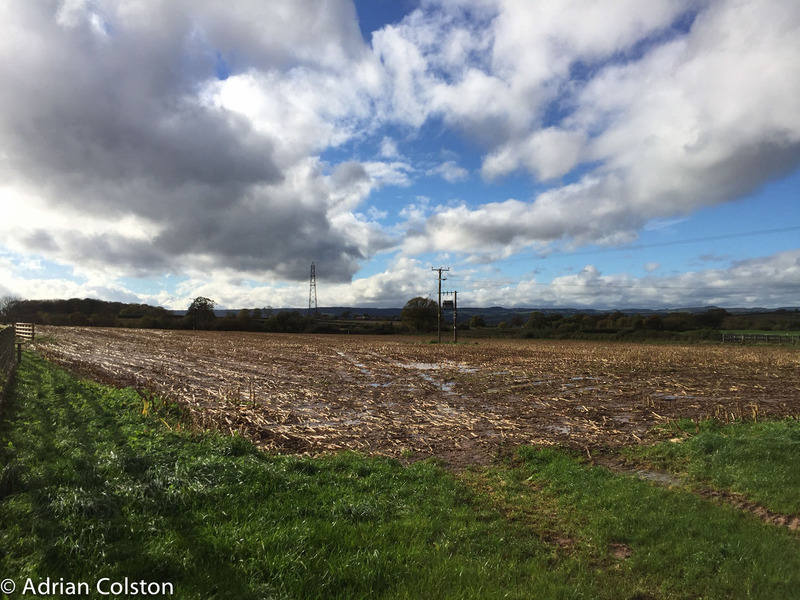 There has been report after report over the past 18 months or so on how damaging maize can be when grown in the wrong place and how this can lead to an increased flood risk. This decision by the Department for Business, Energy and Industrial Strategy (they were formed after DECC was done away with in the summer) will have an impact on the area of maize grown in the England as the subsidy for its growing has halved. But they make no mention of this at all. The Government could have made much of this especially as Defra is currently launching Countryside Stewardship options to control flooding via natural flood management schemes. It is a classic example of non-joined up thinking in Government but nevertheless the decision is welcomed. I will be interested to hear what others have to say on this and I will be interested to see the maize figures in 2 years time. The All Party Parliamentary Group on Agroecology for Sustainable Food and Farming has published its conclusions on their Inquiry into soil health. Climate change: soil can act as both a carbon sink and emitter, but government policy does not go far enough to preserve soil quality and current incremental plans to improve agricultural performance are far from sufficient. Soils must be incorporated into the Government’s climate change strategy. Knowledge: it is not possible to study soil science below postgraduate level, often making soil the most neglected component of land use. Policymakers, farm businesses and advisers are less likely to consider soil as the cause or solution to a problem. 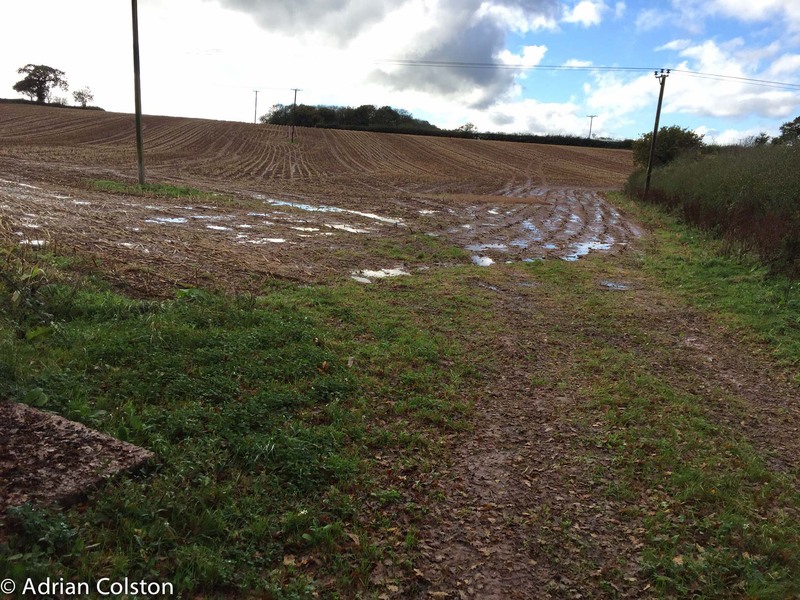 Testing and data collection: the national picture on soil health is deplorably lacking, and there are currently no assessment plans, despite the Government commitment to ensure that all soils are managed sustainably by 2030. You can download the four Briefing Papers here. This report backs up and goes further than the Environmental Audit Commitee’s report on Flooding: co-operation across Government which I wrote about last week – see here. It also backs up the consultation document issued by the Department for Energy and Climate Change on the use of maize for anaerobic digestion – see here. One concern expressed by both the Soil Association and Committee on Climate Change is the practice of growing crops for the production of energy (it must also be noted that the benefits of biomass as a carbon neutral energy source are disputed). The key concerns are not only that land used for energy biomass ought to be used for food production, but that the most common energy crop – maize – causes significant damage to soils when inappropriately managed. In the absence of any effective regulation on the growing of maize, and in light of the public subsidies available for renewable energy which incentivises its cultivation, significant concern has been expressed that this is a practice which urgently needs to be reviewed. The basic concerns associated with maize cultivation – that the current regulatory and advisory model is inadequate to ensure proper soil management and protection – can be extended to many other aspects of farming and land management. Inappropriate irrigation, short rotations, disruption of the nitrogen cycle, poor planning, overuse of heavy machinery, selecting the wrong land for certain crops. All of these practices have been identified by witnesses as contributing to the problem of soil erosion and compaction, and to loss of organic matter. The report also includes this Policy Recommendation. Improve cross-compliance regulations so that the minimum requirements for Pillar 1 payments (single farm payment) include greater protections for soil. These 4 briefing papers are important and are worth reading. It is however depressing to note that the Group considers that modern agriculture tends to undervalue soil health and management and knowledge about it is at an all time low. 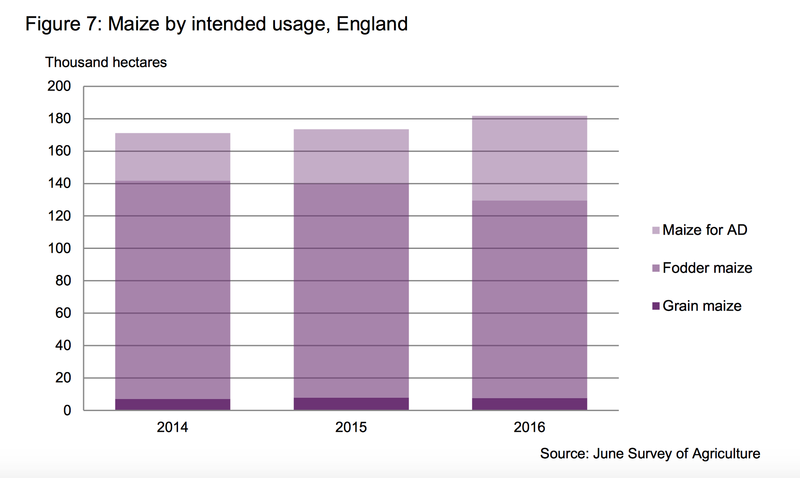 The Soil and Farming Methods report I think is another nail in the maize – biofuel coffin but as I have said before maize grown for biofuels only accounts for 20% of the maize grown in the UK. The other 80% is grown for livestock feed. The recommendation above however if implemented would cover that as well. All Party Parliamentary Groups meet together, relatively informally, to discuss a particular issue of concern. APPGs have no formal place in the legislature, but are an effective way of bringing together parliamentarians and interested parties. 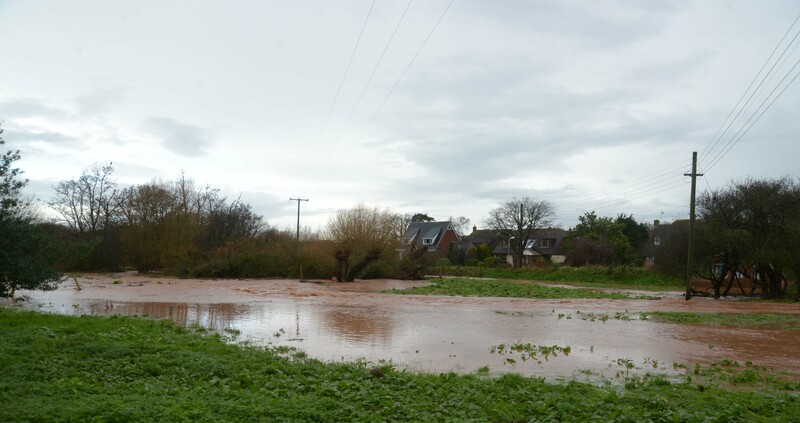 Avid readers of my blog will know I have been campaigning about the detrimental impacts of maize cultivation in Devon, in particular its implication in local flooding – see here for blogs on that topic. Well, some progress appears to have been made. Last week the Department of Energy and Climate Change (DECC) published a consultation document entitled “Review of support for Anaerobic Digestion (AD) and micro-Combined Heat and Power under the Feed-in Tariffs scheme” – you can download it and read it here. Be warned – it is mighty hard work …. Much of the document relates to proposals to reduce the ‘Feed in tariff’ payments but part of it relates to maize. The document states “It is also Government policy that the primary purpose of agricultural land should be for growing food. Data published at the end of 2015 suggests maize is increasingly being grown for AD installations.”. This conclusion mirrors exactly what I have been saying! If implemented, only electricity generated from biogas derived from wastes and residues will be eligible for generation and export tariff payments. If implemented, electricity generated from biogas derived from wastes and residues will be eligible for generation and export tariff payments. Electricity generated from biogas derived from other feedstocks will be eligible for generation and export tariff payments but only up to a maximum proportion of 50% of the total biogas yield produced in that quarter. The maximum is set at 50% because crops such as maize tend to have a higher biogas yield compared to typical farm waste feedstocks such as manures, resulting in a relatively low ratio of crop to waste per tonne of feedstock. Option 2 is currently the preferred option because it provides for payments for electricity generated from biogas with high carbon abatement costs, but offsets some of the risks associated with investments and feedstock support from only using waste and residues. What this means is that DECC intend to cut the subsidy paid to maize farmers by probably 50% (i.e. option 2) in an attempt to discourage them from growing maize as a source of biogas in Anaerobic Digestion (AD) plants. The question is therefore, will a 50% cut be enough to change land use? 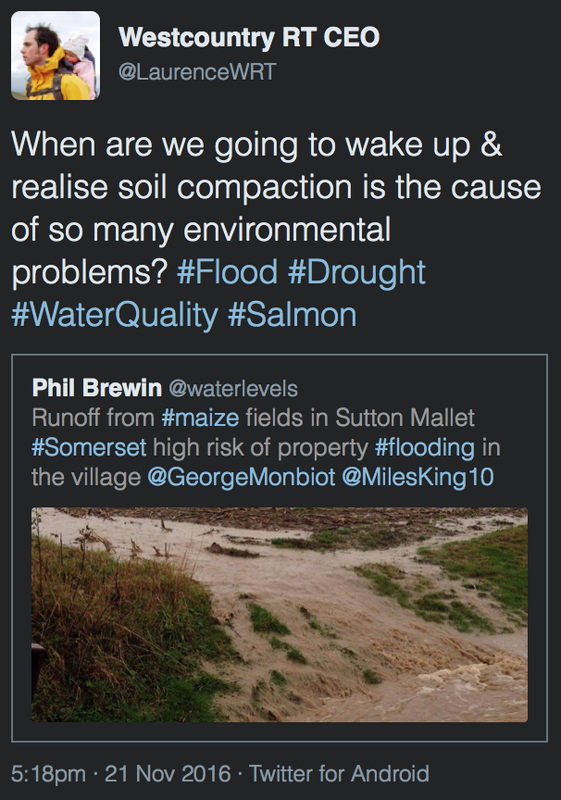 Will this mean that the amount of maize grown in Devon will reduce and therefore will the amount of flooding experienced by local communities reduce? This is undoubtedly progress and is to be welcomed. 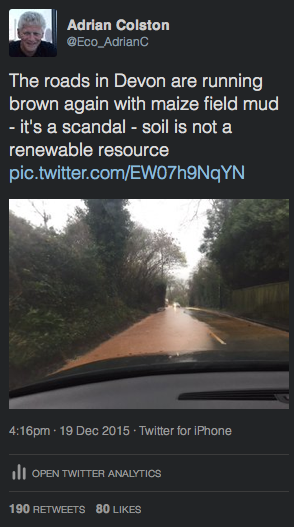 DECC must have been privy to the report of the Environmental Audit Committee on Soil Health which was published today because there is much mention in that report of this very topic. You can download that report from here. The problems caused by maize are mentioned on pages 26-28 and pages 34 and 37. The recommendation of the EAC is that subsidies should be removed from maize cultivation when it is grown for AD biogas production. The EAC took evidence from a number of specialists in the field (who are quoted in the report) including the Soil Association, Rothamstead Research, the Committee on Climate Change and the National Trust, all spoke about the problems related to maize cultivation, soil health and flooding. 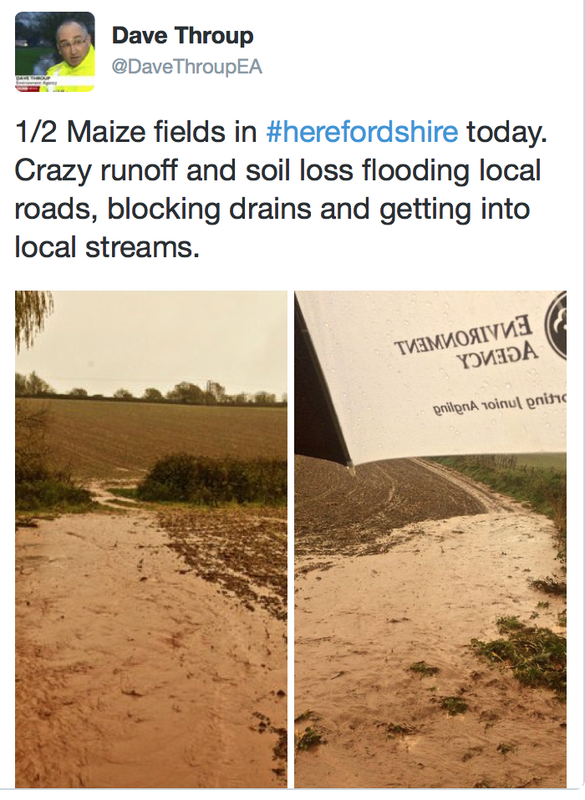 However this single recommendation relating to maize and AD plants will not be enough on its own to safeguard soils and reduce flooding risk. Maize cultivation has grown from 8000 hectares in the UK in 1973 to 183,000 hectares in 2014. 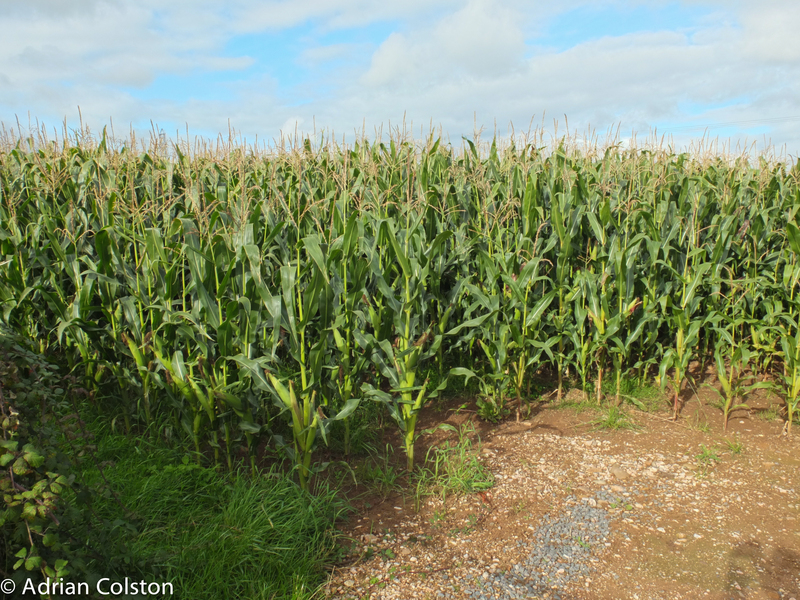 In Devon maize cultivation has rocketed 89% between 2000 and 2013. The vast majority (80%+) of maize is grown as feed stock for cattle and not for AD plants. The DECC proposals will therefore only apply to 20% of the maize grown in the UK. He then went on to say this “That is really an issue for the Department of Energy and Climate Change. It is predominantly about energy policy, renewable energy policy and the different types of renewable energy policy, but we certainly within the Department are looking closely from our point of view at the costs and benefits of that kind of activity“. 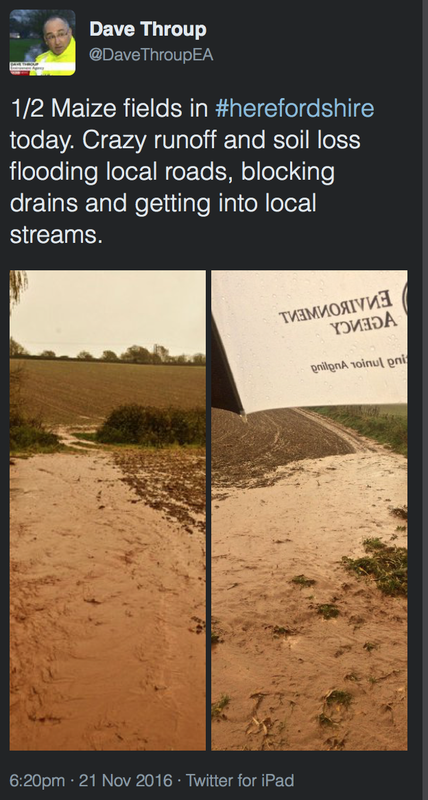 In effect Rory Stewart said that controlling soil degradation and flooding as a result of maize cultivation needed action from DECC regarding subsidy levels. The problem is that 80% of the maize in the UK is regulated via his Department’s cross compliance rules which are clearly not working effectively. To be generous to Rory Stewart one might say that Government works in a highly choreographed fashion. 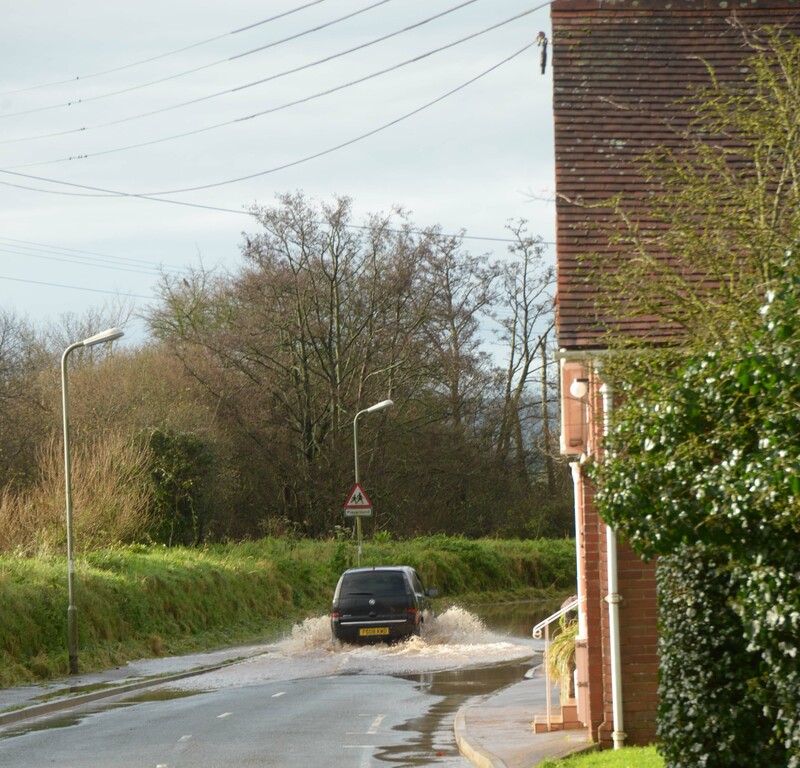 We are awaiting the publication of the Environment Food and Rural Affairs Committee Report on the recent winter floods (where maize again was much discussed) along with the Government’s report on flooding and DEFRA’s 25 year Environment Plan – all expected this summer. Let’s hope that the impact of the ‘80%’ of maize is covered in those reports and changes are made as a result. My friend and co-maize campaigner Miles King has also blogged on this topic today – see here. He also kindly alerted me to the DECC consultation which I otherwise would have missed.